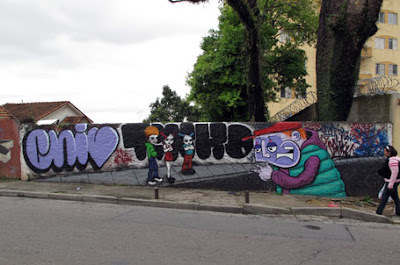 Ai em cima, eu e o Chivitz e o muro que fizemos juntos com a producao da Mtv Brasil, no Tucuruvi. Today at the TV Show Scrap Mtv, I'll be talking about the graffiti yesterday, today and tomorrow with Chivitz. 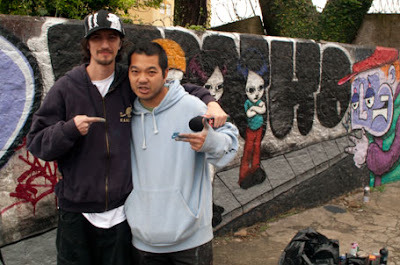 On the top, me and Chivitz in front of the wall we painted with the Mtv Brasil production at the Tucuruvi neighborhood in Sao paulo - Brazil.